The KC-110 delivers pure, rich stereo sound with spatial projection that encircles the room. Its dual-power design (15W + 15W) enables brilliant stereo/multi-band chorus with “Wide” mode, plus gorgeous stereo reverb that will enhance any instrument or voice. 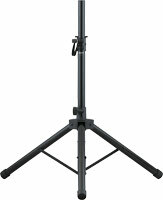 A built-in tilt-back stand allows optimal placement and projection. Enhance your instruments and voice with the KC-110’s onboard high-quality digital effects. EQ, reverb, and chorus are provided, plus Wide mode for deep, dramatic stereo imaging. 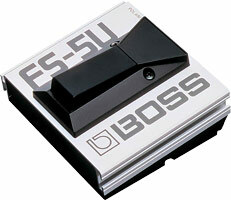 For hands-free operation on stage, the effects on/off can be activated with an optional footswitch. Whether you need to amplify a single instrument or a trio, the KC-110 is built to handle a variety of situations. Three channels are provided, each with independent volume control. Channel 1 is a Mic/Line channel, with XLR and 1/4" inputs; channels 2 and 3 offer stereo line inputs. You can also connect an MP3/CD player to the AUX input for play-along practice or performance. Master stereo outputs are provided, as well as a headphone out.